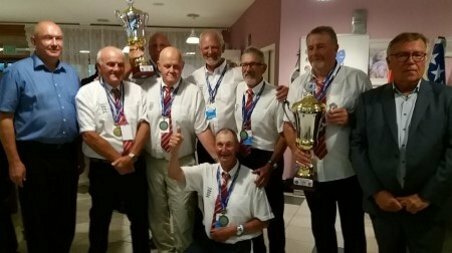 The Angling Trust’s Team England Veterans just missed out on the sliver medal in 11thFIPSed World Championships on Lake, Selnica, Croatia from 16th– 17th June 2018. In temperatures never less than sizzling 30 degrees centigrade, the team practised hard before the event which proved vital. Carrassio were the main target species for the vets, with fish between 6oz and 1lb dominating the catches. 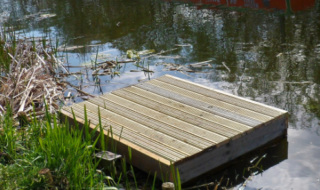 This meant the veterans were looking for a much larger weight than normal on internationals and baits were matched to these larger fish; maggot, worm, and small quantities of bloodworm. 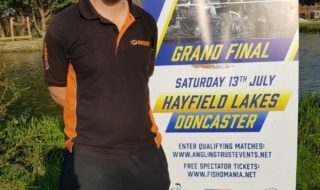 The team fished really well on day one with two section wins and two section thirds, this left them just one point behind a strong Hungarian side and a full six points clear of the chasing pack. Day two however, brought with it a tough draw, and it was only Stan Binge who managed to match his first day section win, posting a perfect two pointer! A further two thirds and a seventh meant that the team drew on points with the Italians, who’d made a storming comeback. Unfortunately for the Brits, they were edged out of silver on weight countback, but the team were still very proud of their bronze medals in a very strong European field. “We were incredibly unlucky to come away with the bronze, but the boys still did us proud. 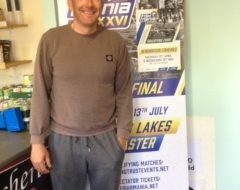 Unfortunately, due to ill health Roger Marlow was unable to participate this year, Colin Perry was called up to the squad and put in a great performance. Team England Veterans squad were; Billy Hughes, Colin Perry, Kevin Folwell, Pete Hawley, Stan Binge, Joe Roberts (manager) and Dicky Carr (co-manager). Helpers; Mick Wilkinson and Ricki Martinelli.